It's yet another edition of "Should you Buy? ", featuring the first luxury shop: Eldon the Merchant! I'll be diving into the items, looking at the stats, and letting you know if you should bother picking up these items. Look out! Here come the OFFHAND WEAPONS!!! Probably the one and only item you should be looking at here is the Master Crafted Bodkin of Spirits. But the only reason you would be looking at it is for the regens. If you're on a budget, see if you can get a Firebrand, Battleskewer, or Phantomblade. They drop for free from rare mobs throughout the world. They won't have the regens, but they will have the damage you need to help you get to the Otherworld. 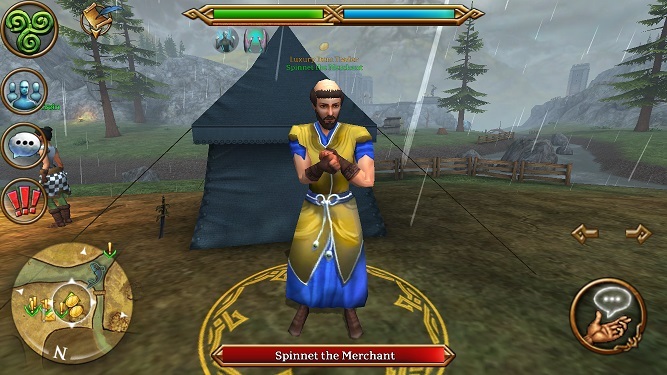 If you can't find one of these rare mobs, try to buy one from other players in the castle, or from the auction house. The caster items aren't worth it for now. Save that cash for a better offhand from the Scavenger at level 50-60. If you need the regens, buy some lixes instead, they are cheaper than this lux. And now it's time for (drum roll) SHIELDS AND ARMOR! You're going to want those Master Crafted Gloves of Haste. 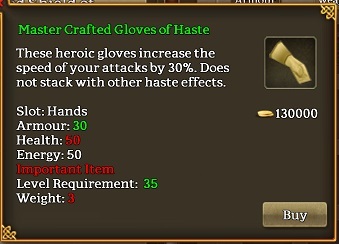 They are the best haste item until you get to Carrowmore and can buy a haste ring at level 100. That's a long way away, so consider investing in these items. If you're going to constantly be on combos, you can skip them. Otherwise, grab these! It's the one, the only HEROIC AMULET OF VIGOR! 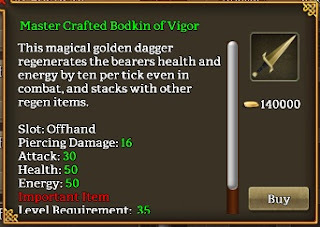 This is the item that everyone wants, and every item wants to be (at this level). In v2 & v3 Celtic Heroes, this item was largely future proof because there are no necklaces in the Scavenger lux shop (lvl 50). The next time you can buy a lux necklace is level 100 in Cabry's shop in Carrowmore. If you pick this one up now, it will last you until then and beyond. I've used this up to level 150 before and was still fine. 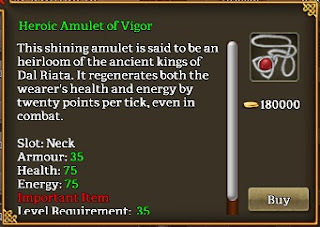 Every new player should have a Heroic Amulet of Vigor. It's just. That. Damn. Good. You can use it up to level 150 if you want. And, every melee player (except Rangers. Sorry guys!) should consider getting a Master Crafted Bodkin of Spirits. This one is optional though. 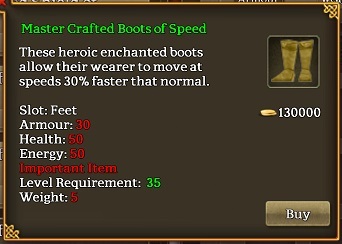 If you can hold out on getting this, the Scavenger Shop in the Otherworld has Golden Blades for sale. That you should be saving up for. Consider using your free offhands from Battleskewer/Firebrand/Phantomblade mobs instead.